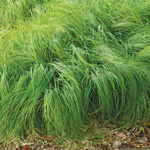 This is an attractive sedge that does well in wet areas. 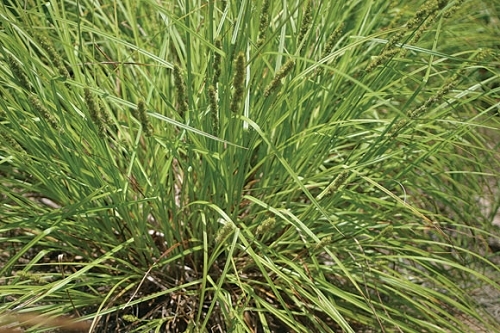 Fox sedge can tolerate temporary flooding. It does spread via short rhizomes, and in ideal conditions it can spread aggressively--the many seeds it produces germinate vigorously. Many carex species, including fox sedge, are host plants for butterflies and moths. Other insects, such as the common meadow katydid, also use fox sedge as a food plant. Ducks and geese will eat the seed.